Update: The thousands in attendance to watch the cinematic trailer for Warlords of Draenor were left stunned with the announcement of a Thursday November 13th release, months before many expected. 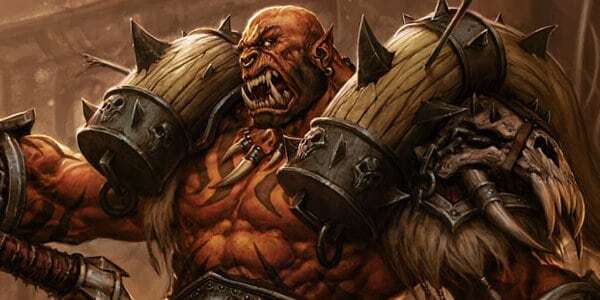 Today could quite easily be the most exciting day in recent World of Warcraft history as Gamespot today announced that a brand new opening cinematic trailer will be released later today alongside the official release date for the highly anticipated expansion, Warlords of Draenor. The eagerly awaited reveal is scheduled to take place later today, August 14th, at 9AM PDT / 12PM EDT. If you’re interested in being one of the first to experience the new cinematic trailer you can head on over to the official website or check out the World of Warcraft YouTube channel closer to the time. Stay tuned as we’ll have the trailer and release date posted as soon as they are available.